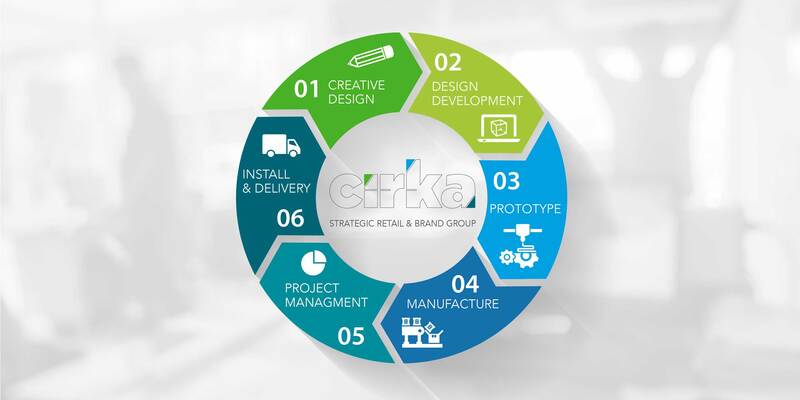 Cirka, a retail design and shopper agency, is made up of retail experts with extensive experience at every stage of the retail design and manufacturing process. Our integrated design process means projects move seamlessly through the creative design, design development and manufacturing stages, saving both time and overall project costs. The Cirka Creative team is made up of both retail, product and shopper experts. We have over 20 years of point of sale and store design experience within our retail design team. When linked to our integrated design process, it means creative projects remain innovative and impactful but also on budget and within strict timeframes. Cirka has a wide range of in-house retail manufacturing and point of sale assembly services with a wide range of permanent and temporary point of sale materials at our disposal such as wood, plastics, metal, cardboard and print. Material selections that are right for the point of sale units that is being designed and manufactured, which allows maximum flexibility for both designers and commercial teams to product innovative point of sale displays that deliver impact and commercial sense.